General Motors, with more than 3 million cars, leads the pack with regard to flex-fuel vehicles on American roads. 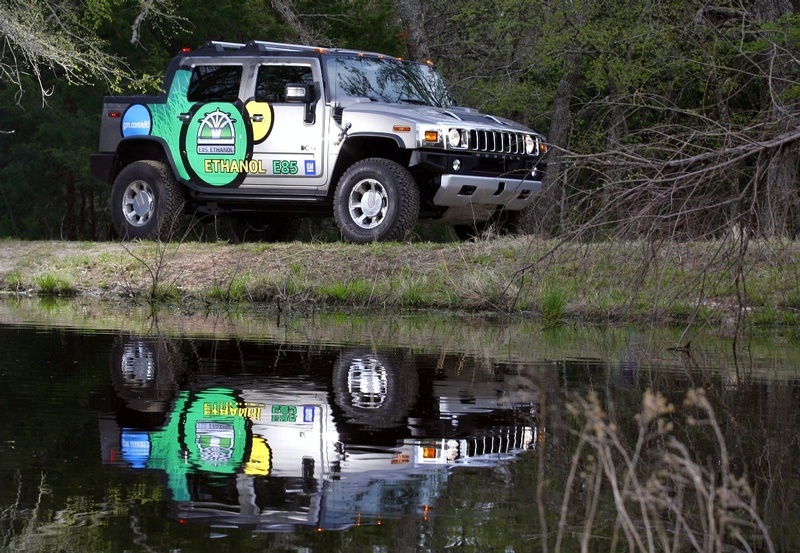 Classic Chevrolet / HUMMER is the nation’s leading retailer Chevy truck and took upon themselves to provide their customers with a new, and the first retailer owned station E85 fuel. “We sell a lot of trucks that can run on alternative fuels such as E85, and even if there was some greater availability, we need more E85 pumps where drivers could fill,” said general manager Charles Martin Classic. Currently, less than 1% of fuel stations throughout the United States offer E85. At the Tokyo Motor Show 2007 Nissan revealed Intima Concept, a sedan that seemed fairly close to the production loans. Today, the Chinese Autobloggers found two (very low resolution) spy photos of what looks very much like the finished Intima. The futuristic exhaust pipes and rear lamps were abandoned, no great surprise, but overall, the forms seem to have survived in what could be the flagship of Nissan in China. 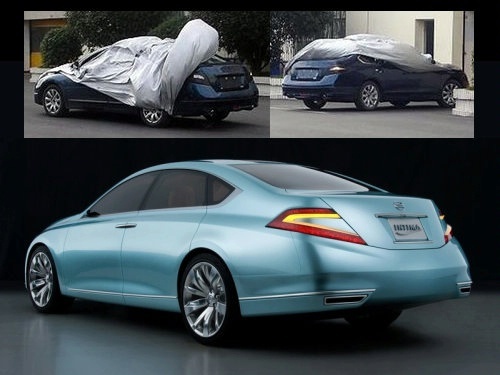 Now that these images have surfaced, it is fair to assume that the new Nissan will make its debut at next months World Auto China in Beijing. The Nissan Livina Geniss was launched at the 2006 Guangzhou International Motor Show. Currently, the range includes Nissan Livina Livina and the Livina Geniss. Could it be that the new sedan will Livina reach the beach, or the name will remain Intima? We hope to have an answer next month at the Auto China 2008 show. 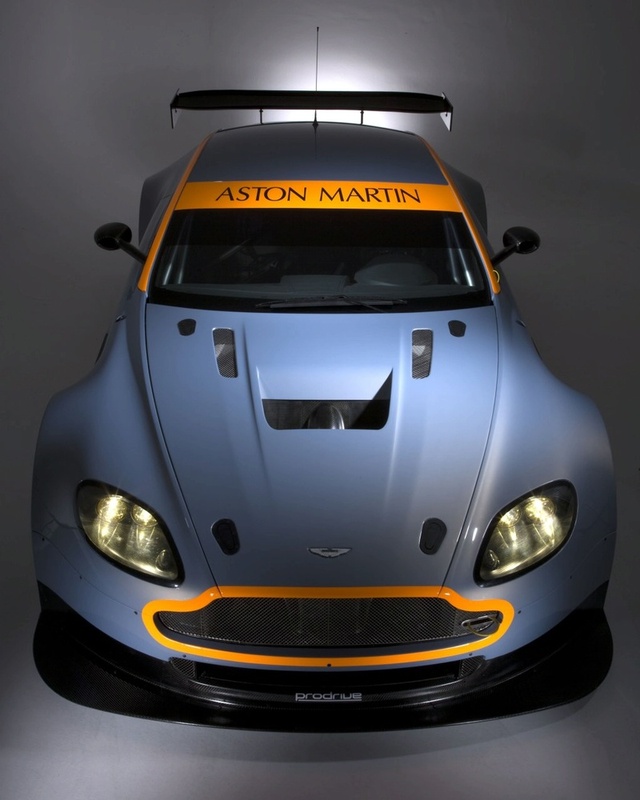 Aston Martin Vantage GT2 it is completing the portfolio of British manufacturer of racing cars GT: GT1, GT2, GT3 and GT4. The last car Aston Martin Racing has been designed to run on both petrol and standards of bio-ethanol fuel E85 thanks to the successful conversion of last year Aston Martin DBRS9 strengthen green credentials. No other details have not yet been published ahead of its debut in the Le Mans Series in Barcelona, April 5, but we will keep you informed as soon as the information is passing through. 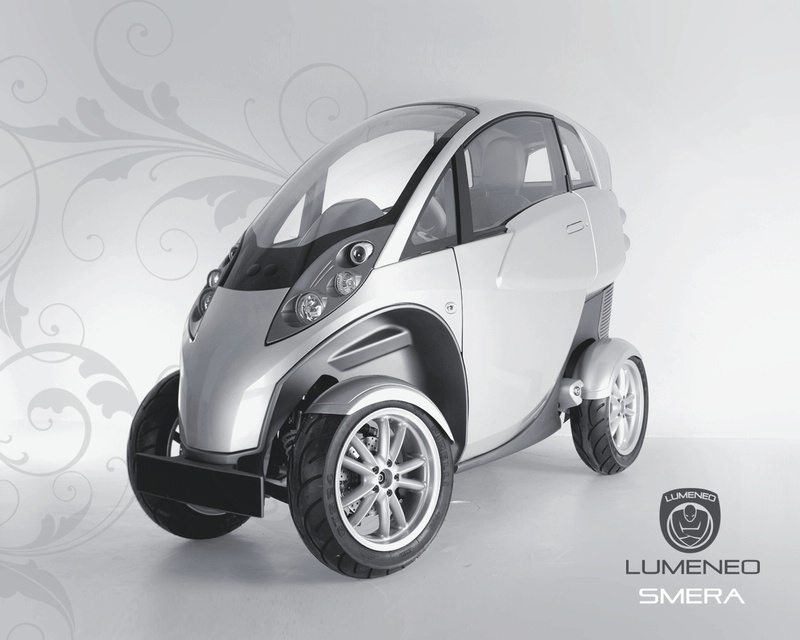 Lumeneo Smera – A Car or A Motorcycle ?! Some cars, which were presented at the Geneva Motor Show have failed to be the main pages as deserved. One of the vehicles that fit perfectly into this description is the Lumeneo Smera. This small electric car is not able to adapt only on this but on the entire traffic of almost all the major cities of the world. After all, it is as close as a motorcycle and faces even on curves like one. Created by Daniel and Thierry Moulène, Smera will be manufactured in France and word has not been said so far on the price, but it is very likely to be higher than that paid for a smart fortwo. This is because the two places, electricity is a machine, powered by batteries containing lithium-ion, which represent only 80 kg of the total that weighs 350 kg. Voisin Concept with diesel motor ?! Voisin is a french automaker founded by one of the pioneers of aviation, Gabriel Voisin, which produced cars with the technology aircraft, as Knight-type sleeve valve engines, from 1919 to 1939. Unfortunately, it never came to life again, as Bugatti managed to do so, but perhaps the owners of the mark to decide to change this when they see the beautiful Voisin Concept, which was created by a design centre Portuguese, LusoMotors. The main designer and founder of LusoMotors, Ernesto Freitas, CarBodyDesign.com said that since he has always loved classic cars french, he decided to recreate one of the most important. Voisin cars were the only ones that could compete with a Bugatti, at the time, hence the idea of creating a supercar cope with the Veyron. It is not only new cars, and in the future that we are interested in here at AutoWorld. View this wonderful period video on refined BMW 507. It has some excellent shots, as well as 507 when it was new in the 50 century. Designed by Albert Von Goertz, the 507 was to be at the dawn of a new era in sports in the Bavarian automaker, instead it took nearly BMW was on the brink of bankruptcy. Only 252 examples were built and BMW known to have lost money on each of them, despite the high prices, which ranged from $ 9000 to $ 10500 USD, and remember this was 50 years ago! In 507 has been equipped with the 3.2L V8 alloy at 150/160hp, not bad for the day, but acceleration is lethargic compared to modern vehicles to sixty miles per hour running in 10 seconds. But in the 507, not purchased for their execution, it is beautifully sculptured, hand-beaten aluminium body of work that catches the eye. In 507 is undoubtedly one of the most beautiful projects in history. Enjoy the video. Most people today who want to have a De Tomaso Pantera must wait one used to reach the market. If none get there, prices could be as high as $ 100000. What if you could have a modern version of the famous De Tomaso, a structure built on reliable and fast, as the Lamborghini Gallardo’s? Well, if the designer Stefan Schulze manages to sell his idea to an investor, you might be able to buy your Panthera (with a H) someday. 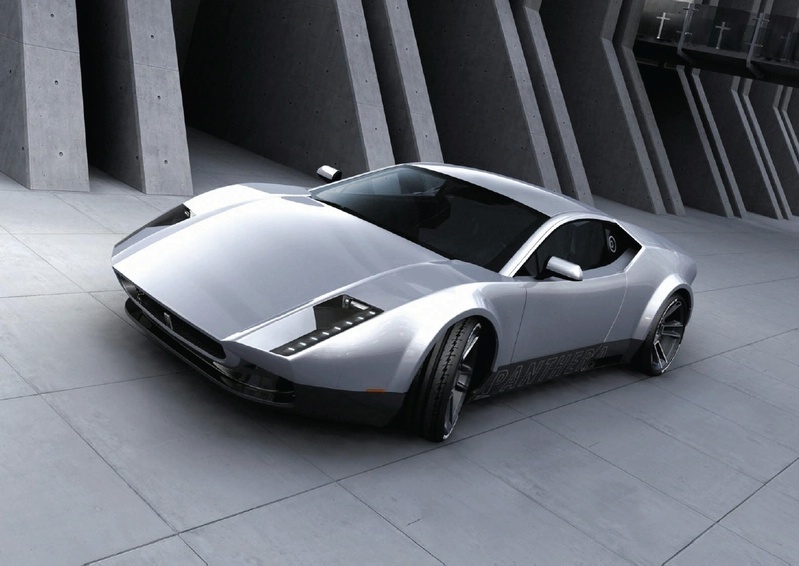 The De Tomaso Panthera Concept, as we have already said, is a project based on the platform of the Lamborghini Gallardo, or it would have a V10 engine, the 4WD system and a unique style, what would make this machine an easy target buyers only for the rich only want a piece of machinery. And, as we all know, they are not so rare.